JJRC H5P With 2.0MP Camera 2.4G 4CH 6Axis 1100mAh Battery RC Quadcopter RTF. JJRC H5P with Headless Mode/ no need to adjust the position of aircraft before flying. High capacity battery included/ provide longer flight time(1100mAh Lipo battery makes flight time up to 12-14 minutes). 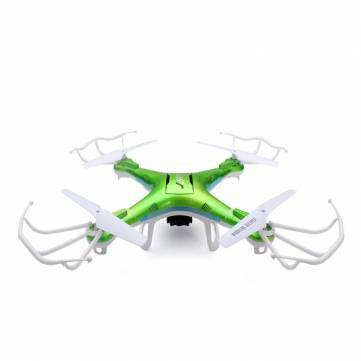 6-axis gyro quad, strong stability, easily implement various flight movements, stronger wind resistance, easier to control. Note: Recommend that before aircraft's first flight lipo battery should be fully charged which will be better. Please be sure to use the original USB cable.